*Jamie Foxx surely wasn’t looking for trouble when he and some friends went to dinner at Catch Restaurant on Saturday, but that’s what he got served. At that point, according to eyewitnesses, the guy lunged at Jamie. The accounts vary, but one witness says he actually made contact with the actor, pulling him down onto a table. The witness goes on to say Jamie turned the guy around, put him in a choke hold and took him down. The unknown dude and his crew were kicked out of the restaurant, reports TMZ. OK, that was bad news for Jamie Foxx, but we’ve also got good news for Jamie. 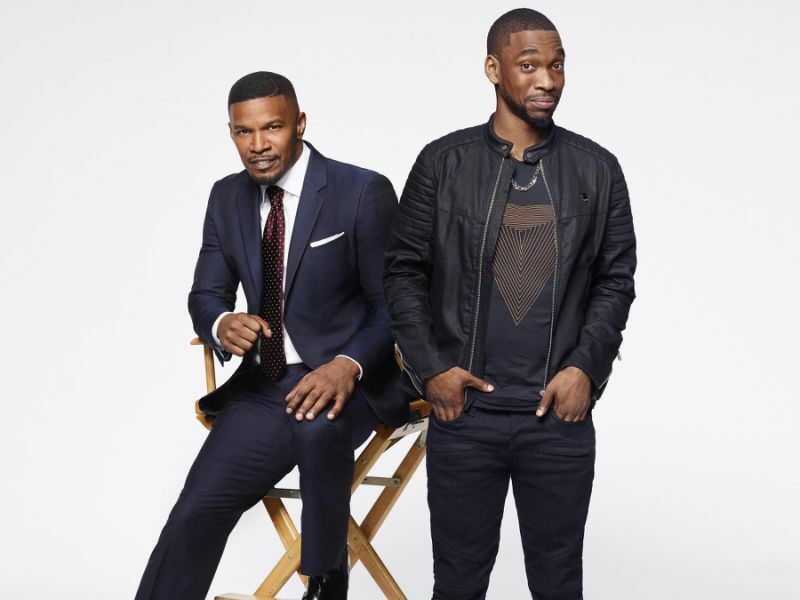 It seems Showtime has picked up Foxx’s series, “White Famous,” starring former Saturday Night Live member Jay Pharaoh. As we reported earlier, the project is based on an original idea by Foxx and is about the actor/comedian’s real-life experiences coming up in the entertainment business. Tom Kapinos wrote the script for the series. Tim Story directed the pilot and will executive produce. The series will also star Megalyn Echikunwoke as Floyd’s ex-girlfriend, Sadie, the love of his life and the mother of his son. Utkarsh Ambudkar (The Mindy Project) plays Malcolm, Floyd’s frustrated agent who wants his client to do whatever it takes to make it big. As of this posting, it has not yet been determined when the series will premiere.